The ultimate bright, warm, mellow bell sound. 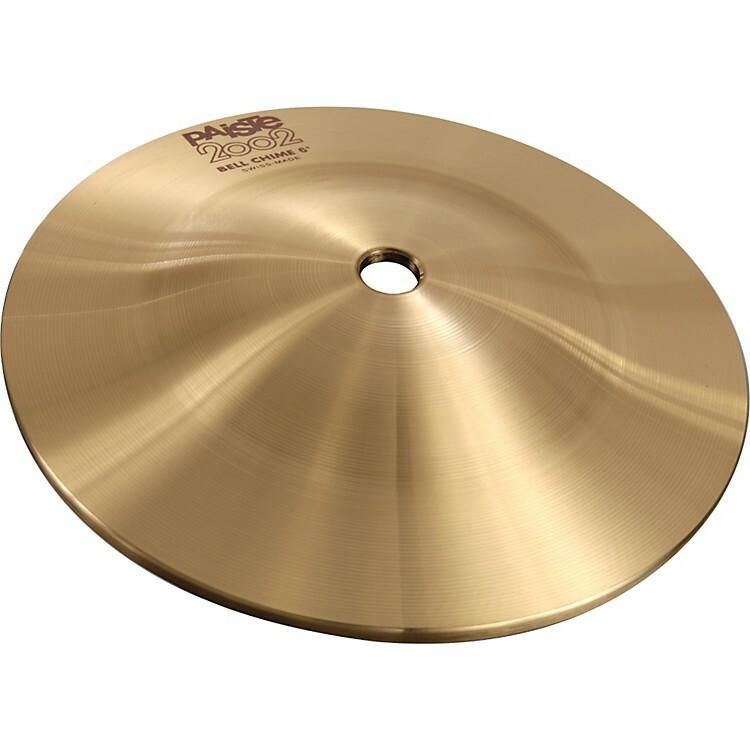 The Paiste 2002 Bell Chime Cymbal sounds bright, full, warm, and brilliant. Narrow range, clean mix. Heavy, very immediate feel. Dominant fundamental note surrounded by prominent, very musical, under- and overtones, which modulate at varying amplitudes. Exceptionally long, seemingly never ending sustain.